What happens when the lemonade turns to brine? All of us who have been to business school know the classic case of the lemonade stand. 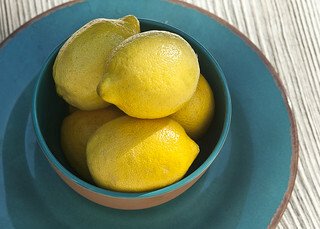 But what happens when your lemonade sours – or becomes brine? My friend Josie Bartlet had a dilemma recently and her challenge raised some critical issues about being a strategic adviser. It’s a dilemma we all sometimes face as strategic advisers. Stick or twist? Imagine this…. Put yourself in Josie’s shoes…. Imagine you are a senior adviser to your leader. You have clear divisional responsibilities. Your team supports you to deliver on a clear agenda. You think you know what is right. Last week, you attended an away day at your boss’s country house. She gets paid the big bucks and so recently bought a Tudor villa in South East England. It’s full of draughts but that’s by-the-by. Your company faces a serious strategic dilemma for which there are no good answers. Activist investors – such as ‘Go Mergers’ Capital – want a new plan, but getting top team alignment around the plan is proving difficult. Hence the top team retreat. After a long, fraught, day, you finally come to an agreement on the future direction of your organization. Despite lots of opposition. Some leaders were happy with your strategic alliances, others want a more stand-alone strategy. But finally, the team agreed on an compromise approach. Everyone has nodded their heads in acquiescence. Or did they? You are part of a management team and a key adviser to the leader, but you disagree fundamentally with the outcome of the team away day. What would Josie do? What would you do? Which of these three is the ‘right’ answer? Although you don’t agree, you have a collective responsibility as a member of the top team. You are not convinced it is the best outcome – but for the same of commercial interest and corporate harmony – you decide to toe the line. When it comes to strategic alliances with overseas partners, you think you could get a better agreement but decide to play for time. Besides your end of year bonus will be good. The money may be good but you decide that your reputation would be best served by leaving. You have lots of allies in the market – headhunters have tipped you for a more senior role – so now is the time to go. You’ve been loyal for long enough but this is the final straw – when the CEO makes a decision you fundamentally disagree with you know that you can’t swallow your pride any longer. It is time to make a play for a new job and resign with panache. The money is still good. But this time you feel uncomfortable taking it now that the new strategic direction has been announced. You’ve made your career on working to the IABC Global Standard – Ethics, Consistency… etc – and now the collective decision requires you to go against everything you stand for. You want to please the CEO (who is powerful but thin-skinned), but on the other hand that means being false to yourself. You have 10 minutes to decide. Your time starts now…. Although the dilemma is not often put in such stark terms, we are often faced with the challenge of what to do when we don’t like a corporate decision. Or are forced to argue on behalf of something we don’t agree with. As a strategic adviser, the challenge is to which battles we want to fight. Which battles are worth winning? When can we tactically lose? And when do we want to make a stand for what we believe in, and metaphorically die in a ditch if necessary. To return to Josie. As it happens she is one of my friends, so I can tell you that she would never choose the politically expedient option B. Option B is a good way of getting a short-term win and a long-term loss. Option A is acceptable – she has a strong corporate responsibility and loyalty. We’ve probably all made a choice like this in our career. But the really brave choice is, in my opinion, C.
The bravery, though, is not in choosing option C, but in avoiding the temptation of dressing it up as option B. In some walks of life there are a lot of “B” players who choose the “B” option but pretend it is choice C. This happens so often that when there is really a “C” resignation, some people are often cynical and think it is really a “B”. This is more common in some sectors than others. What would you choose? Feel free to comment below. ← What Wimbledon teaches us about being a strategic adviser.